Many organisations develop a ‘mission statement’ setting out what they do and why they do it. But none of them come close to this one. 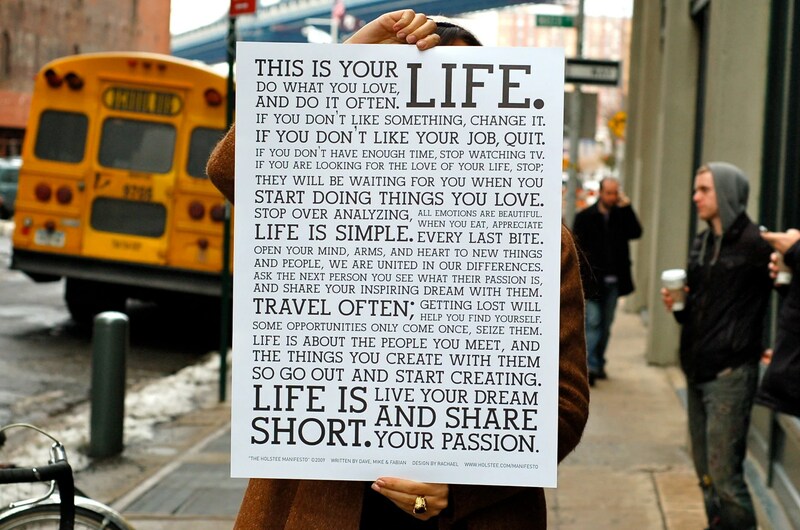 It’s the ‘Holstee Manifesto’ and I just had to share it. This entry was posted in Performance Management, Strategy and tagged Communication, Company, Ethical, Friendly, Holstee, Learning, Manifesto, Mission, Performance Management, Strategy, Vibrant by Simon Perks. Bookmark the permalink.